We welcome guests and researchers from around the world. Learn how to enter the building, access our online resources and borrow materials. 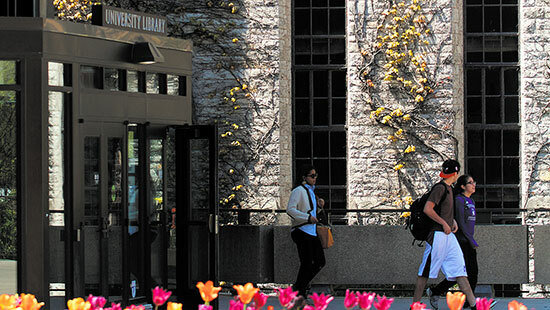 The Libraries are open and accessible to all, regardless of affiliation with Northwestern University. To enter the building, guests will need to present a valid photo ID. Library hours differ for members of the general public. See the hours page for specific information. 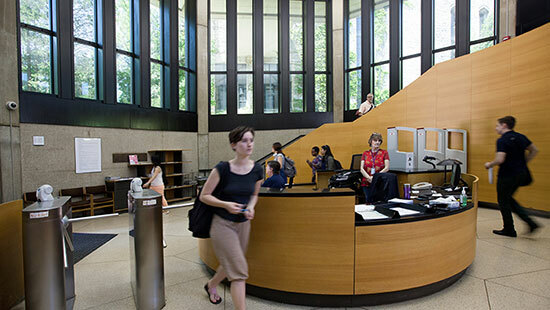 Northwestern alumni can gain access to the library during all open hours using an Alumni Association Card. Alumni and other visitors can access our catalog and online resources during their visit by using a temporary guest NetID. Access to online resources is only available on site with a valid guest NetID. To borrow items, visitors must obtain a Borrower's Card, and alumni must obtain an Alumni Borrower's Card. Visit the Alumni Borrowing page to learn more. 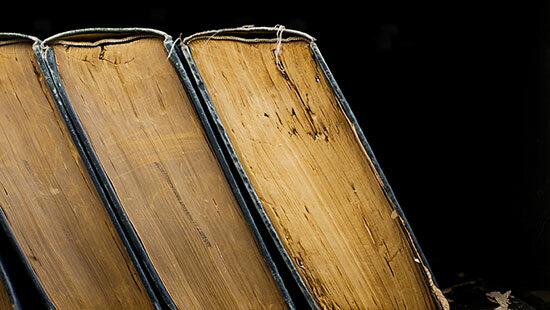 We have reciprocal borrowing agreements with University of Chicago, Loyola University of Chicago and University of Illinois at Chicago (UIC) libraries. Students, faculty and staff from these institutions can borrow from the Northwestern University Libraries, and vice versa. Read agreement details. Visitors from the corporate, government and nonprofit sector may also be able to obtain borrowing privileges. Learn more. Use these tools to plan your visit and find library materials and events.